The “Boost Recuperation Machine” (BRM) is used to control the electric motor and is mounted directly on it as an inverter. 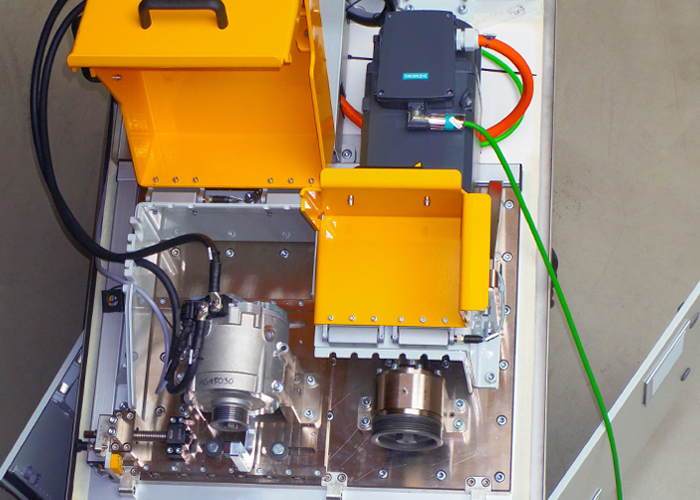 The BRM can be operated both as a generator and as a motor, and depending on the operating mode converts mechanical into electrical power (regenerative operation) and vice versa (motor operation). 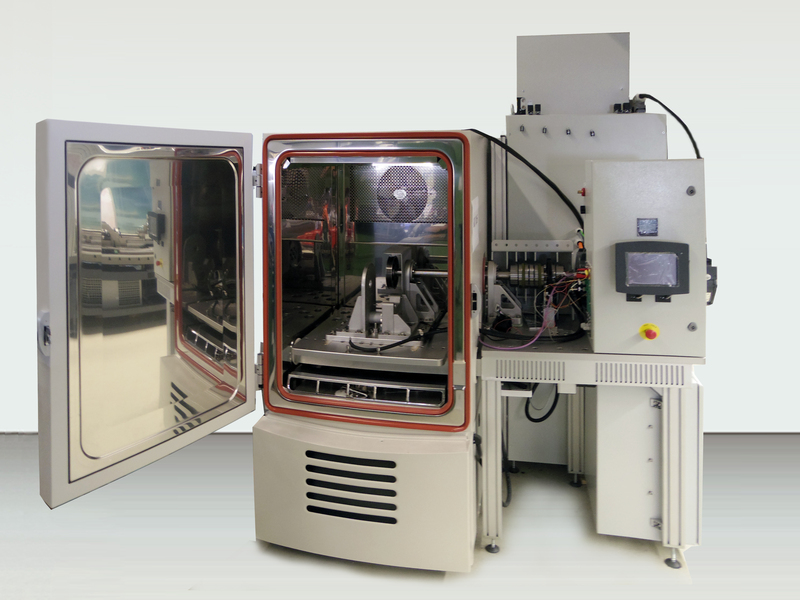 With this test bench, several BRMs can be tested simultaneously under the same conditions. All elements are controlled via the test bench. The 48V Starter Generator test bench has an integrated climate chamber. Thus, a test under various climatic conditions is possible without the test stand has to be rebuilt. The test bench is controlled by the Actere, a completely modular software. It combines the control and regulation of the test procedure, the measurement and display as well as the documentation of the test data in one program. Versatile interface support makes it possible to access all hardware components. For the execution of the test, there is an intuitive user interface. months, 24/7 with software that can run continuously and data storage.